This is a nice survey article about all of the modular activity taking place in our city. Thank you to Crain’s for publishing it. We have just one small question: If this is NYC’s modular moment, what have we been doing here for the last 17 years building 3,000,000 SF of modular buildings for NYC? Just asking… But hey, enjoy the article anyway. Boomlet in projects using prebuilt units comes after many years of false starts. BY MATT CHABAN JULY 21, 2013 12:01 A.M.
At the corner of Flatbush Avenue and Dean Street at Brooklyn’s Atlantic Yards, dozens of workers are laying the foundation for a 32-story apartment tower. They are excavating earth, bending rebar and pouring concrete, just as countless others are doing at construction sites around town. Meanwhile, two miles away, in a factory the size of two football fields at the Brooklyn Navy Yard, dozens more are working on the same building, stacking drywall, uncrating toilets, and gathering pipes and spools of wire, all of which will be used to complete a total of 930 -trailer-size modules beginning next month. 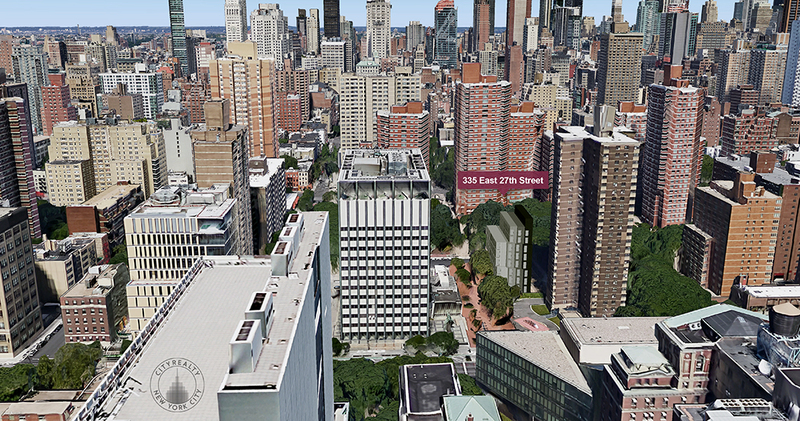 Those will then be trucked over to the Flatbush Avenue site, where they will be stacked to form 363 apartments ranging in size from 400-square-foot studios to 1,200-square-foot two-bedrooms. “There’s no reason people couldn’t see this out their window very soon, whether they’re in Brooklyn, downtown or even the Upper East Side,” said Melissa Román Burch, executive vice president at Forest City Ratner and head of its Atlantic Yards project, where the first of more than a dozen modular towers is set to rise during the next decade or so. Work is finally getting underway nearly three years after Forest City Ratner Chairman Bruce Ratner was transfixed by a YouTube video of a 15-story hotel being assembled in China in just 46 hours. Now all eyes are on Atlantic Yards. “Mod” installation there is set to begin this fall. 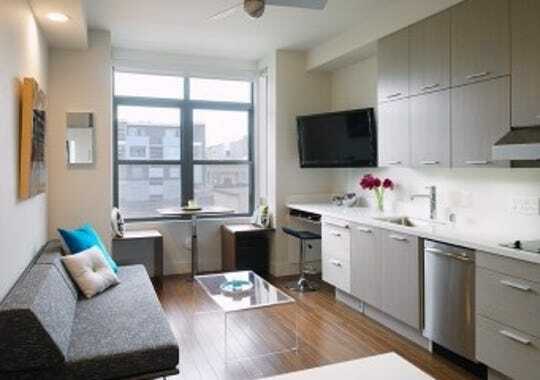 It will be followed by similar, though smaller, projects ranging from a superstorm-proof townhouse in Red Hook, Brooklyn, to the Bloomberg administration’s much-touted micro-apartment building in Manhattan’s Kips Bay. All told, there are now more than 17 modular projects on file with the Department of Buildings, with more likely to come. The apparent advantages are clear: significant cost savings through faster construction, with less material waste—which also boosts the green factor. “I think a lot of people are waiting to see how things turn out for Bruce,” said David Kramer, a principal at Hudson Cos., a developer with numerous affordable and high-end projects in the city. Yet even as a growing number of builders line up to try their hand at modular, many others remain skeptical—and with good reason. The technique has been a dream of architects and developers for nearly a century—both Buckminster Fuller and Frank Lloyd Wright were high on it—yet little progress has been made since the idea of houses rolling off the assembly line like so many Model Ts was first dreamed up. After all, what is going up now is little different from Montreal’s famous Habitat 67, built for that city’s world’s fair 46 years ago. Curiously, it is also a method of building that has been far more successful outside the city. In South Carolina, New Mexico and West Virginia, one in six homes is manufactured—a group that includes mobile homes—according to the Census Bureau. In New York state, it is one in 50, with most of those outside the city. 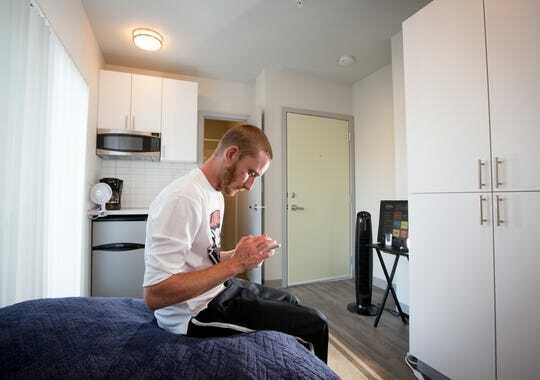 Up until recently, what modular construction there has been in New York City has been on a small scale, mostly row houses for low-income families and seniors in the outer boroughs. 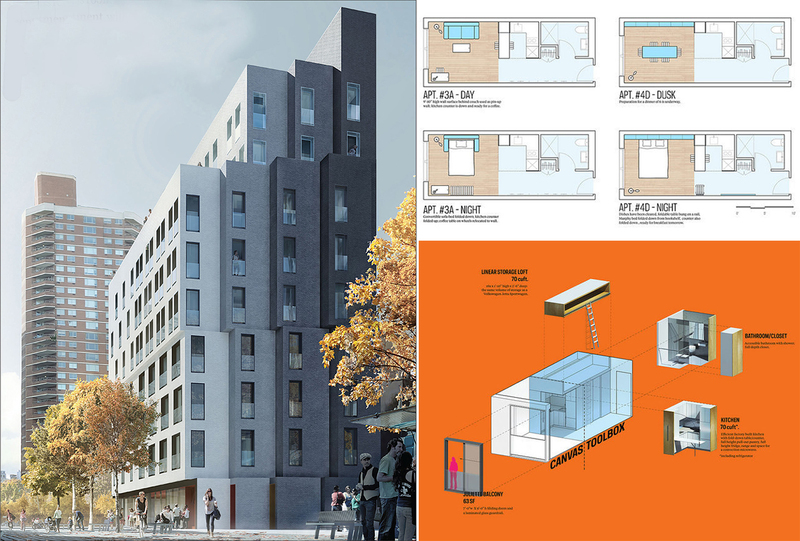 The biggest such project to date is the Nehemiah Spring Creek Houses, in East New York, Brooklyn. There, blocks upon blocks of multicolored homes have been built and are now occupied. 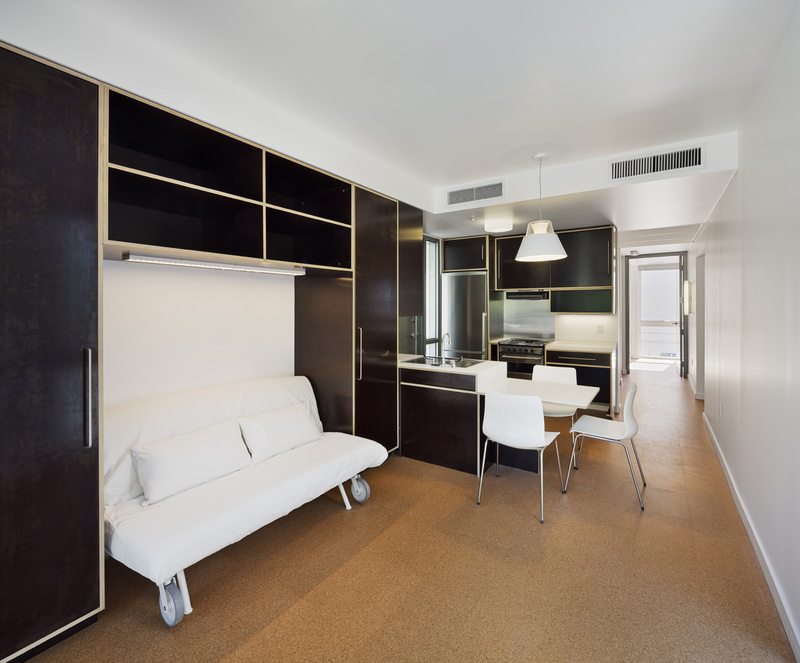 When the project is complete, 1,525 such homes, made of three modules each, will have been built by Capsys, a modular firm created three decades ago by Nicholas Lembo expressly for the project. He estimates he has built more than 3 million square feet of modular buildings during the past two decades, including a convent for elderly nuns in the Bronx. All of it has rolled off the line of his facility in the Brooklyn Navy Yard. 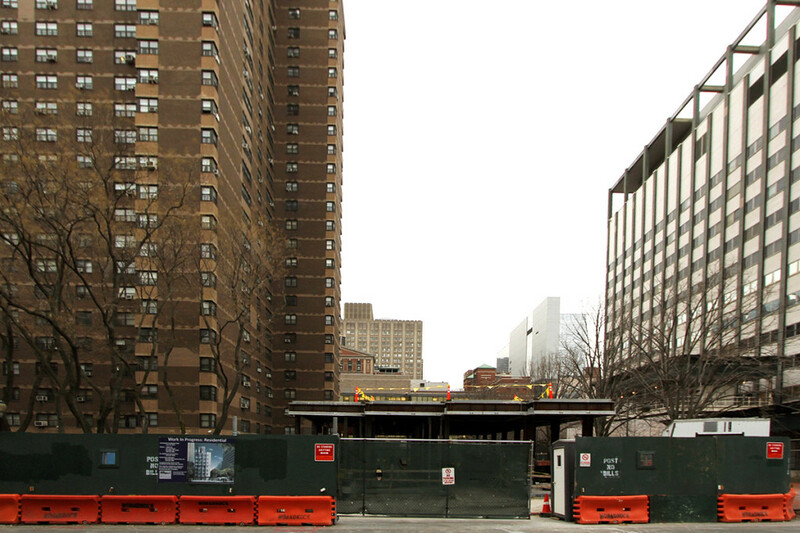 The latest project will be the city’s so-called adAPT micro-units in Kips Bay, with 55 apartments as small as 250 square feet. Mr. Lembo won the project in a competition last year. Work is set to begin this fall. 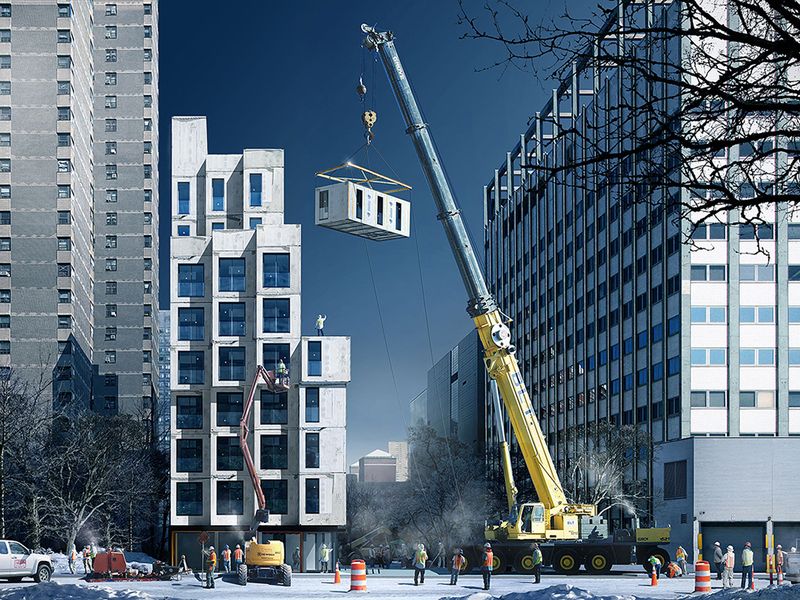 The biggest factor driving modular’s newfound popularity is the city’s stratospheric construction costs. Modular offers a handful of ways to cut them by 20% to 30%. Sheer speed accounts for much of those savings. By building in a factory, crews are protected from the elements, which allows them to work more efficiently, and without weather delays. It also keeps the materials protected and provides for easier quality control. “You don’t have one subcontractor come in, lay the concrete, and then the plumber comes in the next day, says everything’s in the wrong place, and you have to do it again,” said Bill Flemming, president of Skanska USA, the national general contractor that has partnered with Forest City Ratner to create its modular factory. Changes in labor contracts also promise to unlock big savings. 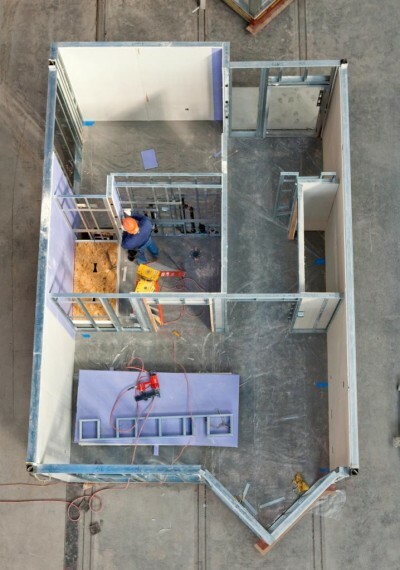 Rather than employing individual tradesmen specializing in plumbing or electrical or drywall, workers in modular factories are trained to tackle multiple tasks. Forest City Ratner actually had an easier time working out the technical specifications of its towers than it did persuading the unions to agree to the special contract, though ultimately they did. 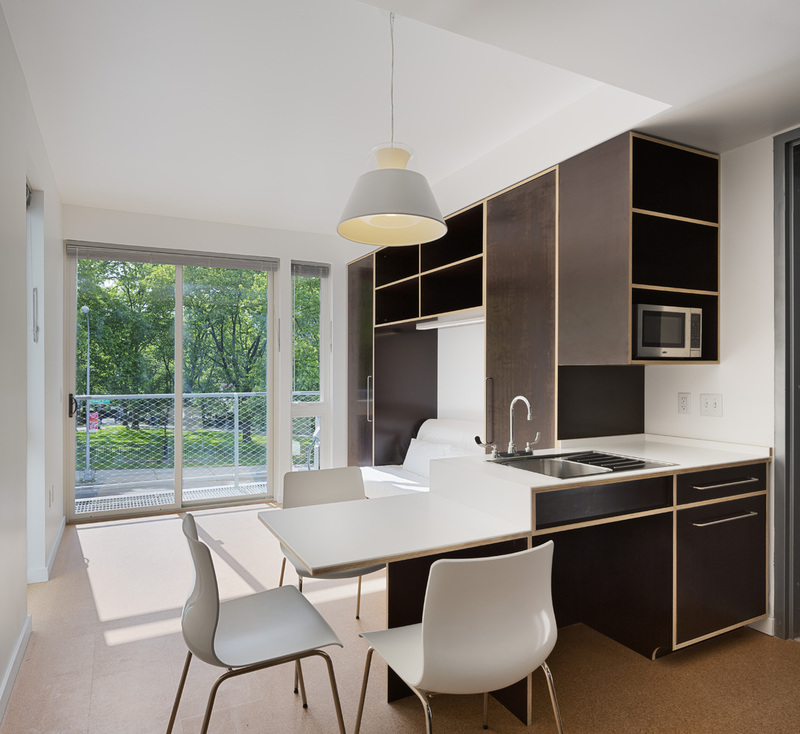 What makes New York City’s gathering wave of modular housing so special is that all of the advantages—including cost savings—of the technique are being harnessed to produce taller and more sophisticated properties. The first residential tower in Atlantic Yards will top out at 32 stories, more than 50% higher than any modular tower ever built. At the same time, big-league architecture and engineering firms and their developer clients have been converted to the modular cause and are now stretching the technique in unprecedented ways both in terms of size and sheer aesthetics. 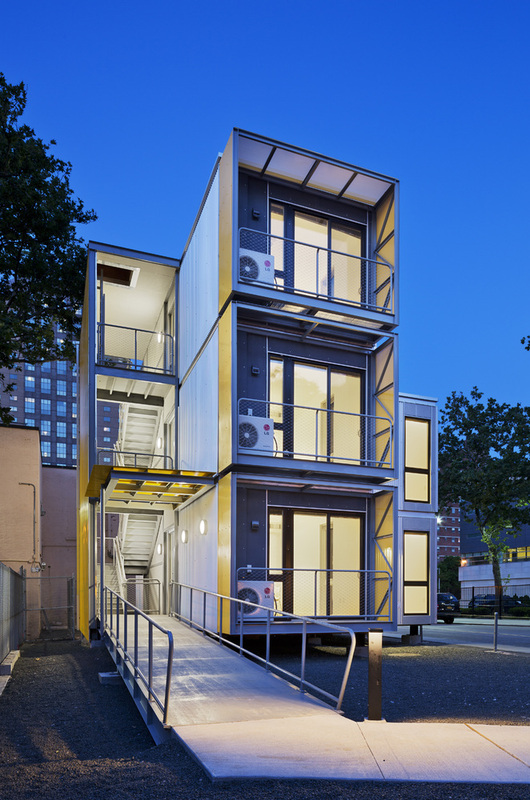 In Red Hook, for example, SHoP Architects, the designer of Mr. Ratner’s towers, has created a flood-resistant townhouse that can be fabricated and installed in less than three months. That is an unheard-of pace for any project in the city. Yet for all the promises of modular, the drawbacks stubbornly persist. Trucking thousands of building modules weighing up to 25 tons and as wide as two Hummers is a challenge in a densely packed city like New York, one complicated by narrow side streets and aging bridges. A case in point is 4857 Broadway, in the Inwood section of upper Manhattan. There, a partnership of Gluck+ architects and Jeffrey M. Brown Associates is building 28 apartments from 56 modules that are being fabricated in Pennsylvania. The logistics are daunting, to say the least. Mr. Brown notes that if the complex were being built outside the city, as many as 12 modules could be installed in a day. Even with the benefit of an empty lot next door to store units before use, the team can still cart only four modules over the George Washington Bridge each day for installation. Even financing a modular project can be more difficult. “What bank wants to take a flier on a project when, if it goes under, they’re left with a bunch of boxes stacked up in a warehouse somewhere, and they have no idea what to do with them?” Mr. Brown said. A more conventional site could be turned over to another builder, but a modular one, where the parts and plans are proprietary, is much harder. Then again, green buildings were also once derided as a fad. 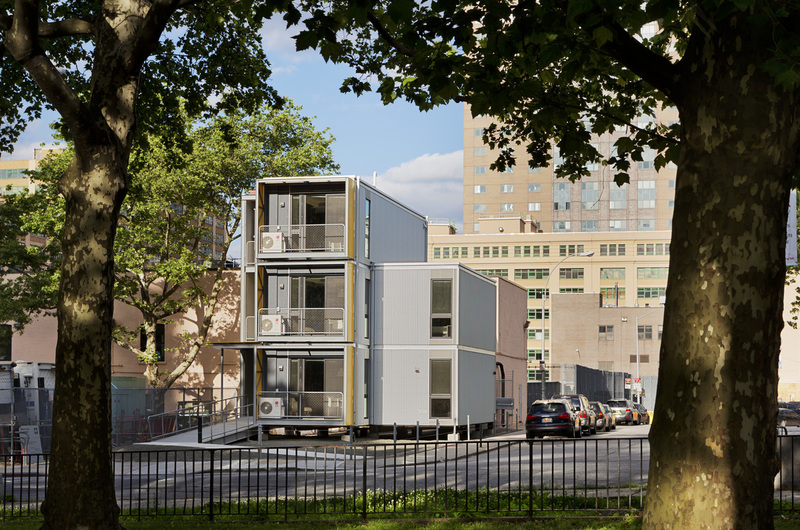 A version of this article appears in the July 22, 2013, print issue of Crain’s New York Business as “NY’s modular moment arrives”.